For high volume storage, utilise a freestanding workshop cupboard 525mm wide and enjoy the expansive room and storage capabilities. Designed out of industrial grade welded steel for the ultimate support, and with sturdy galvanised steel shelves, this freestanding workshop cupboard 525mm wide is guaranteed to hold even your largest and most cumbersome tools, products, or materials. 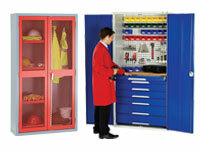 What is The Purpose of the Freestanding Workshop Cupboard 525mm Wide? Designed to hold your largest pieces of equipment, this freestanding workshop cupboard 525mm wide is an ideal solution to cluttered workspaces. The steel shelves are adjustable on a 25mm pitch, allowing you to customise how to store your equipment, these cupboards are the perfect addition to any sized space, including workshops with vaulted ceilings. If you share a workspace, or just need to increase valuable square footage of your work area, these freestanding workshop cupboards 525mm wide are the perfect storage solution for you. 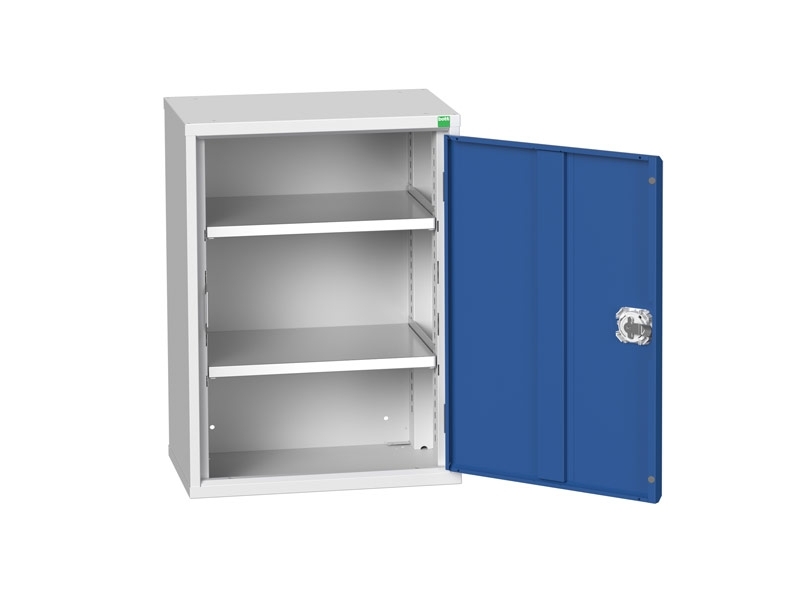 With strong, locking doors, you’ll know that whatever you need to store in these industrial cupboards will be held securely.